It's a new month, which means it's time for a new challenge. My Blogger Recipe Challenge group and I are working 10 recipes each involving canning, or canned goods, or things you can make with or put into a can (mason jars count). It's a loose interpretation as usual, but hey, we have fun, and YOU get access to a whole slew of awesome recipes. You can check out our website HERE. Strain beans and thoroughly wash with warm water. Place beans, lemon juice, olive oil, salt, garlic powder, pepper, and paprika in food processor and blend until smooth. *If your mixture is thick you can add additional olive oil. If your mixture is STILL too thick, add in as much warm water as needed to reach your preferred consistency. 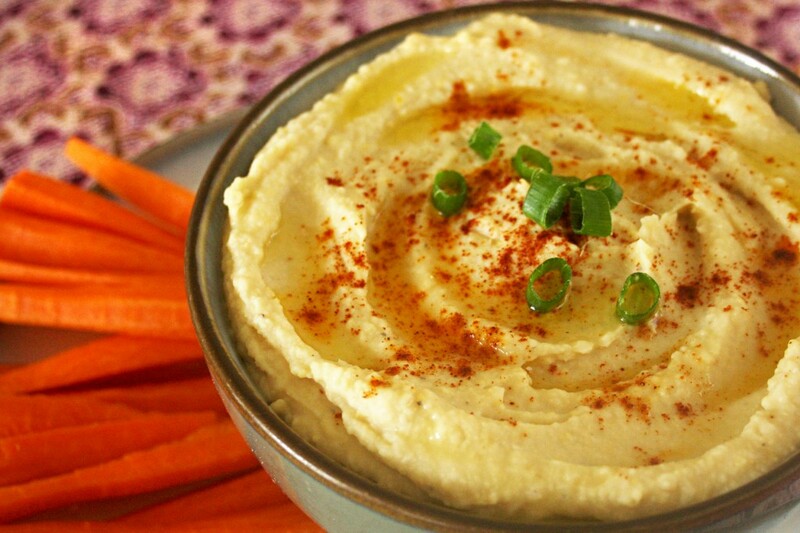 Taste your hummus mixture to see if you need to add any additional spices. Garnish with EVOO, Paprika, and Chives. Serve with your favorite veggies, crackers, chips, etc.